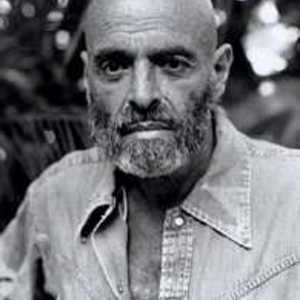 Sheldon Alan "Shel" Silverstein (25th September 1930 ? 10th May 1999) was an American poet, songwriter, musician, composer, cartoonist, screenwriter, and author of children's books. Silverstein's passion for music was clear early on as he studied for a while at the Chicago College of Performing Arts at Roosevelt University. As a songwriter, Silverstein kept a low profile but cast a long shadow. He tended to shun publicity and even photographers. Silverstein's passion for music was clear early on as he studied for a while at the Chicago College of Performing Arts at Roosevelt University. As a songwriter, Silverstein kept a low profile but cast a long shadow. He tended to shun publicity and even photographers. Nonetheless, his musical output included many songs which were hits for other artists. Most notably, he wrote the music and lyrics for "A Boy Named Sue" that was performed by Johnny Cash (for which he won a Grammy in 1970); "One's on the Way" (which was a hit for Loretta Lynn), and "The Unicorn Song" which, despite having nothing to do with Ireland nor Irish culture, became the signature piece for The Irish Rovers in 1968 and is popular in pubs all over the world to this day. He wrote the lyrics and music for most of the Dr. Hook songs, including "Cover of the Rolling Stone", "Freakin' at the Freakers' Ball", "Sylvia's Mother", and the cautionary song about VD, "Don't Give a Dose to the One You Love Most". He also wrote many of the songs performed by Bobby Bare, including "Marie Laveau", "Rosalie's Good Eats Cafe", "The Mermaid", "The Winner", and "Tequila Sheila". The song "The Ballad of Lucy Jordan",] recorded in 1979 by Marianne Faithfull and later featured in the films Montenegro and Thelma & Louise, was also by Silverstein.